If you are good at something, never do it for free. Cooking enthusiasts across the world have taken this point quite seriously and thousands of them are now on-to YouTube sharing finger-licking recipes with the world and thereby making it as a full-time profession. In the wide pool of cooking experts active on the internet, what can be done to make your channel stand-out? One most effective way is to be completely unique. We have compiled a list of 5 popular culinary channels on YouTube that are weird to some extent but nevertheless effective. Can a cooking channel get NSFW? Oh, I bet it can. 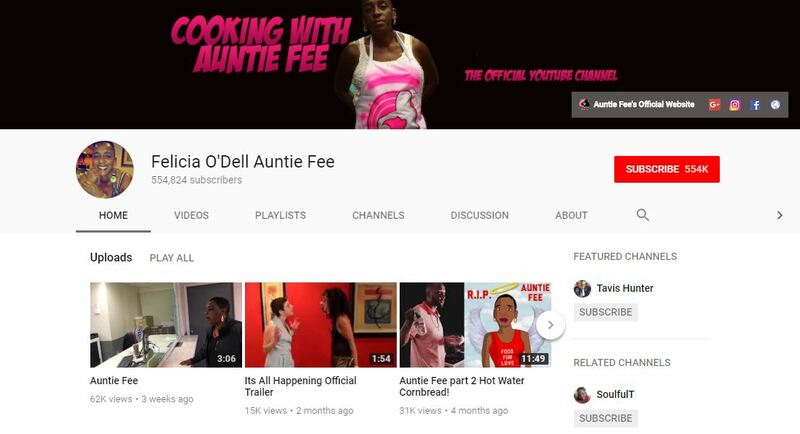 Meet Aunty fee, an LA-based internet sensation who has an uncanny profane way to teach cooking. Her videos are very casually shot using a handi-cam by her nephew and are devoid of any elegance whatsoever. However, she is still a huge hit among the audience because of her unprepared and unpredictable speech. If you are not bothered by foul language and abusive words, you should definitely check out some of her videos. With more than half a million subscribers, she is definitely one YouTube star you cannot ignore. It is an art to make the best out of the least. 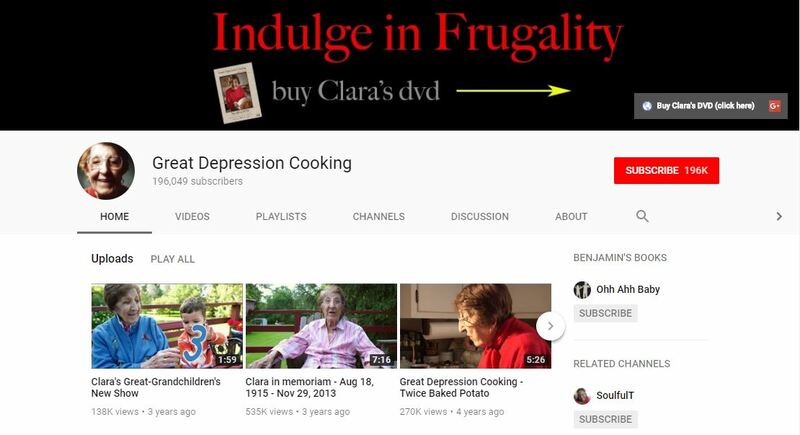 Depression cooking is a fascinating channel from a lovely old lady Clara Cannucciari who used to share recipes from the era of Great Depression in America. Clara being in her 90s was a living testimony of the tough times families faced on a day to day basis during the depression era. On persuasion from her grandson she started her YouTube channel sharing recipes that are very simple and economical to make. The best thing about her channel is when she sits back and tells fascinating tales from her experience in the depression era. Sadly Clara left us in 2013 but her YouTube videos are a living testimony of the art of making best out of the least. Cooking with dog is a unique Japanese cooking channel where the dog is not an ingredient but a host. Yes, Francis the hero of the show is a grey poodle that narrates the entire procedure with a chef who takes charge of the proceedings. Francis has become really popular among YouTube audience. Despite hygiene Nazis having raised concerns about a dog being in the vicinity to the kitchen setup, the channel has already crossed a whopping million subscribers and claims to have a wide audience spread across the globe. Send across a funny video to your friend as you miss him/her but, you might not turn out to be as lucky as YouTube creator, Hannah Hart. 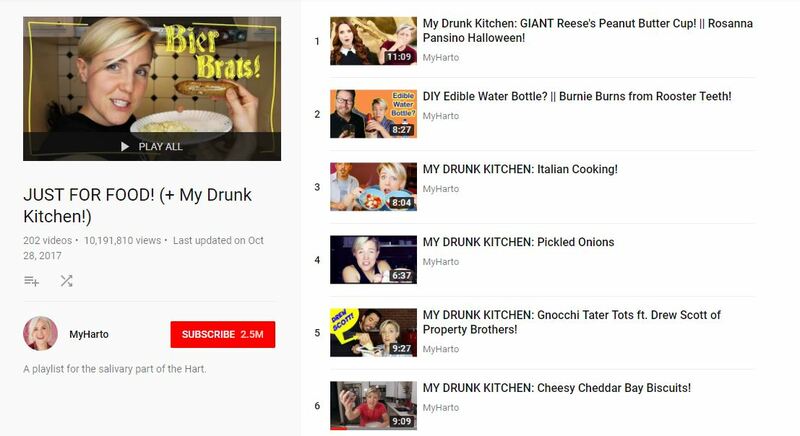 Her show ‘My Drunk Kitchen’ is a YouTube series that showcases Hannah making some interesting cuisine while she is drunk. The show started out as a video message to her friend which turned out to be a huge hit with 80,000 views in 2011. Catering to several requests, Hannah further went on to create content for her YouTube channel. Over the course of 5 years, the series has scooped over 2.5 million subscribers. It’s big, it’s massive, it’s epic. This is what you can ideally say for every recipe made by this channel. A burger made up of gold, a tower of Pizza, yes you heard that right, the recipes made by these foodies can indeed compete with our wildest food fantasies. The channel’s unbeatable recipes have got them over seven million subscribers but, they aren’t planning to stop. 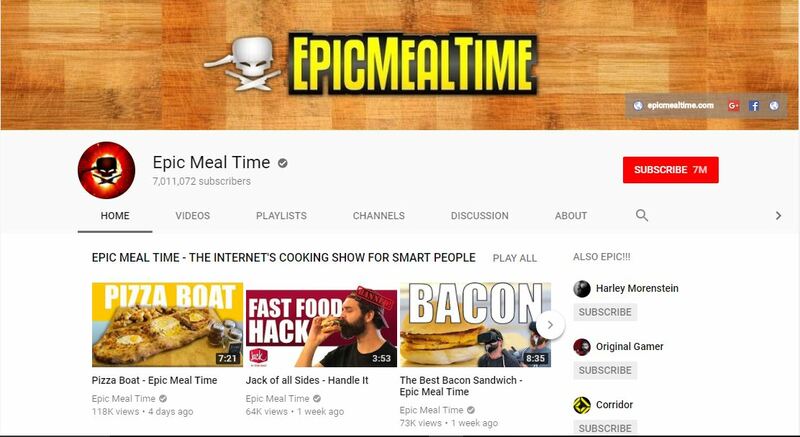 The creators of the show, Harley Morenstein and Sterling Toth unleash their love for meat, alcohol and humor all together with Epic Meal Time. Offbeat/bizarre, they got me hit the subscribe button. Video content creation isn’t just about creating content but it’s about creating unique content that will help retain and increase your admirers.